Faran Tahir, Patrick Vaill, Jonno Roberts, and Jackson Knight Pierce in Othello, directed by Ron Daniels. Photo by Scott Suchman. Given that “date night” activities can often be difficult to coordinate for couples during the recovery process, USO-Metro provides transportation and STC provides dinner at Carmine’s Restaurant paired with theatre performance tickets to servicemen and women for each mainstage production. Sponsors of this Special Initiative help to underwrite eleven tickets (ten for wounded warriors plus one for a hospital organizer) per production run for use by USO-Metro to attend STC performances in the 2017-2018 Season. Over the course of the past four years, the “Date Night” initiative has expanded to include a series of special events and workshops throughout the regular season; this expanded set of events is now known as the “Hero Series.” In 2016 and 2017 STC welcomed military families through the annual “Winter Revels” event, in which USO-Metro and TAPS families are invited for a family festival before attending a production at STC, free of charge. During the 2012-2013 Season, the Shakespeare Theatre Company hosted a “Hero Night” on October 2, 2012 to honor local servicemen and women as well as to thank the sponsors of the USO-Metro initiative. 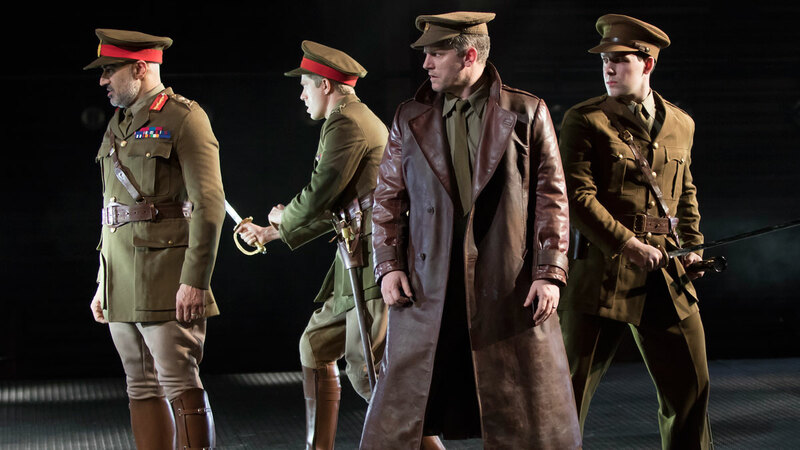 Thanks to the generosity of our partners, we were able to offer complimentary tickets to more than 70 service members and their families to see the National Theatre of Scotland’s performance of Black Watch. In late August, 2013, the Shakespeare Theatre Company’s Education Department, in partnership with USO-Metro, premiered the first in a series of professional development workshops specifically geared toward Wounded Warriors – these workshops are designed to boost the confidence of veterans returning to the civilian workforce. In September 2013 and May 2015, the Shakespeare Theatre Company hosted a military family day in connection with our presentation of Potted Potter. More than 100 military service members and their families attended a matinee performance of the show, entirely free of charge, and were treated to an activity fair and buffet with magical desserts, face painting, and a performance by an illusionist. For more information about our USO-Metro Initiative, please contact us at CorpSTC@ShakespeareTheatre.org.